International Cultural Center, Jerusalem, Palestine. Klotz’s awards include grants from the Pollock-Krasner Foundation, Puffin Foundation, Change Inc, 3 New York Artists’ Fellowships, Capelli d’Angeli Foundation, 2 National Endowment for the Arts Craftsman Fellowships, National Endowment for the Arts Dance and Performance Fellowship, Arizona Artists’ 3-D Fellowship, Arizona Governor’s Award for Women Who Create and Educate, Arizona Governor’s City Improvement Award for a commissioned public park sculpture, Texas Tech University’s Most Distinguished 2-D Graduate Alumni Award, and an endowed fund for Palestinian Educators dedicated to Suzanne Klotz. Klotz attended Washington University in St. Louis for two years of undergraduate education. She holds a BFA Degree from the Kansas City Art Institute, MFA Degree from Texas Tech University, and Secondary Teaching Certification from the University of Missouri Kansas City. Her academic appointments, Associate Professor of Fine Arts, include universities and schools of higher education in Arizona, California, Texas, Utah, and South Australia. 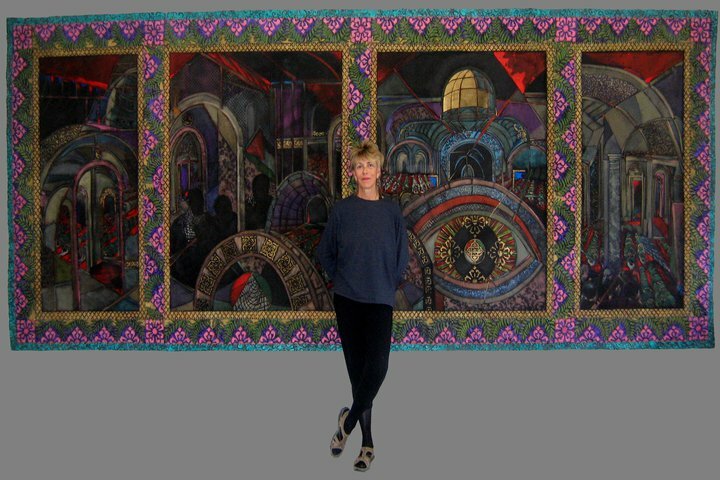 Her art has been exhibited in over 300 exhibitions internationally since 1972 and is in numerous public, corporate and private collections. Much of my work juxtaposes realities built on the foundation of spiritual principles and goals, with social values based on the myth of ownership and illusions of alienation. Art reflects the values of society and bridges the divide between the familiar and the unfamiliar. The creative process and product are invested with the power to elevate consciousness, encourage investigation of truth and assist in the advancement of a unified world society. I attempt to create art that engages the viewer on visual, emotional and intellectual levels and upon investigation, the content expands. The work addresses, in an ironic way, contemporary attitudes towards gender roles, marriage, materialism, global, social and economic disparity, and the invisible lines that define borders. Did you design the site this well with the default post tools? Your website is incredible.